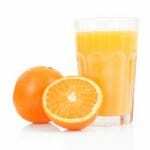 Juice Hacks – Mix, Coat, Swap and Top | JPMA, Inc.
Vitamin C, which may help improve your immune system and heal from wounds. Vitamin C can also help your body absorb iron and is an antioxidant that helps protect the body from certain types of cancer. Juice Hacks For Better Health. Juice is a great ingredient for adding a naturally sweet flavor to a variety of meals. Mix your choice of juice into smoothies. Mix a little juice with plain yogurt and herbs to make chicken marinades. Coat apples, sweet potatoes, or carrots, with a delicious glaze by simmering the fruit or vegetables in apple or orange juice until tender. Mix equal amounts of yogurt and juice and stir until smooth to make a drinkable yogurt snack.